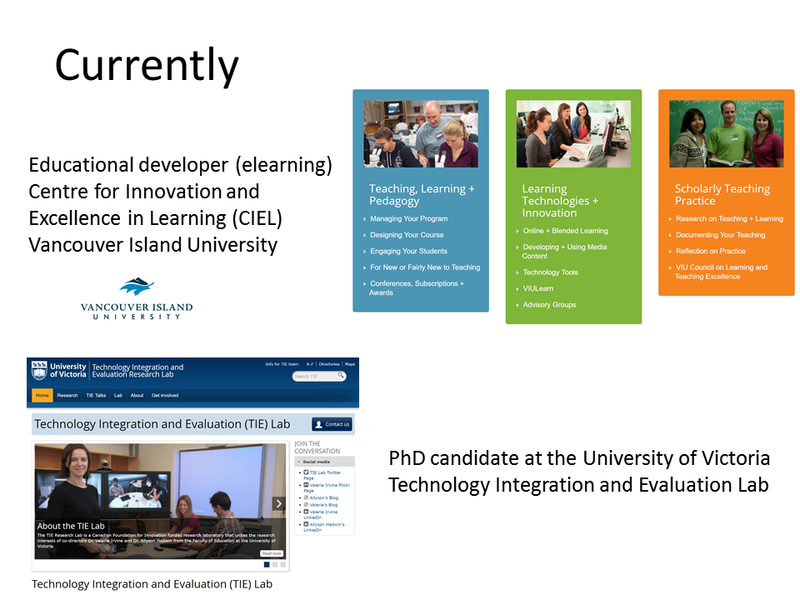 I am an educational technologist currently working at the Centre for Innovation and Excellence in Learning at Vancouver Island University. My role involves researching and deploying educational technologies, administering, developing and integrating elearning software and developing faculty competencies in the use of emerging technologies. This post requires me to work across the disciplines and support faculty at all stages of their career to enhance their practice, develop curriculum and training resources, progress innovative ways to conduct teaching and research, and measure the impact of these changes. 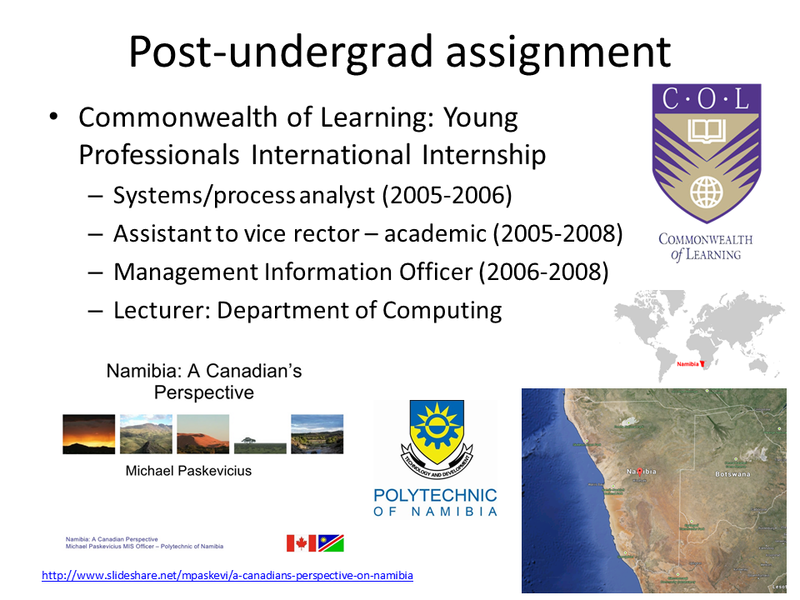 I got my start in higher education in 2005 with an internship from the Commonwealth of Learning which took me to Windhoek, Namibia in Southern Africa. 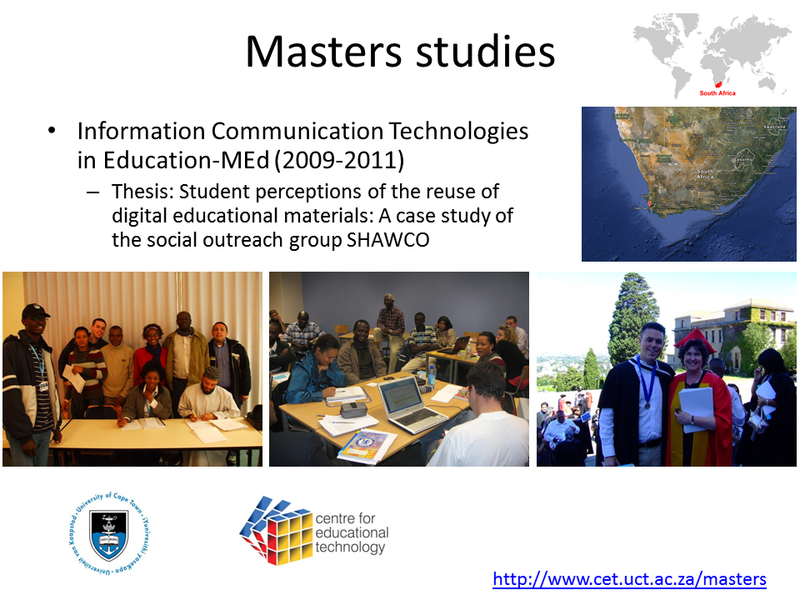 I worked for three years in information technology development in Namibia before relocating to Cape Town, South Africa to complete my masters in education technology. 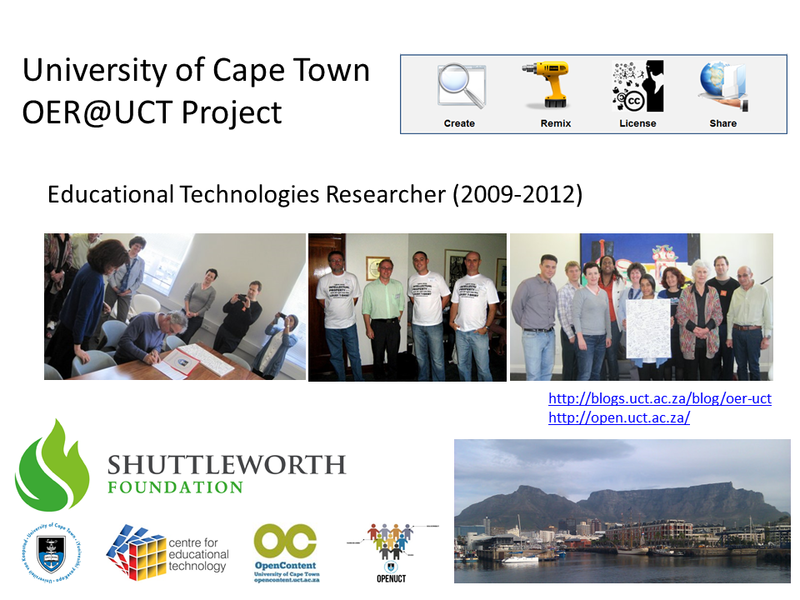 At the University of Cape Town I worked in the Centre for Educational Technology as a research assistant supporting the creation of open educational resources (OER) by faculty and the adaptation and use of OER by students. In this capacity I was responsible for helping academics and subject matter experts develop, license and share teaching and learning resources electronically and openly through the OpenContent OER directory. I served many roles throughout the projects’ lifecycle: initially as the lead project analyst researching and documenting best practice in the curation of elearning materials; then as a technical analyst as the directory was built using the open-source Drupal content management system. When the directory was launched in February 2010, I was involved in a number of workshops and presentations aimed at helping academics understand OER development, open licensing systems such as Creative Commons, and the technical considerations around sharing materials and curriculum online. I am currently pursuing my Ph.D. in education with the Technology Integration and Evaluation (TIE) Lab at the University of Victoria. My Ph.D. work explores faculty and student engagement with open educational practices and open scholarship.